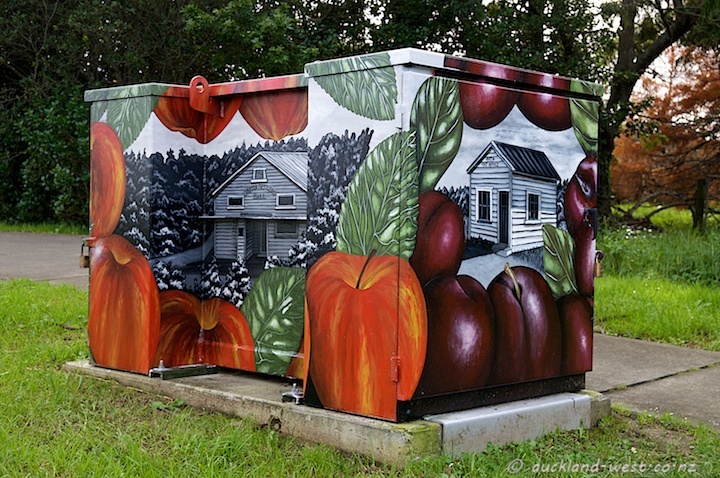 This transformer stands in Glengarry Road, close to the intersection with West Coast Road. It seems to nostalgically hark back to the past with its depiction of the old Post Office and Settlers Hall and yummy fruit. For years, after we first arrived here in 1970, we used to make pilgrimages to Oratia and Henderson to buy fruit straight from the orchards, sometimes picking our own. Now most of the orchards have given way to residential development, some are used for other crops (a strawberry plot is right beside this box), and a few seem to just wait to get the green light for development, trees looking sad, overgrown with lichen. 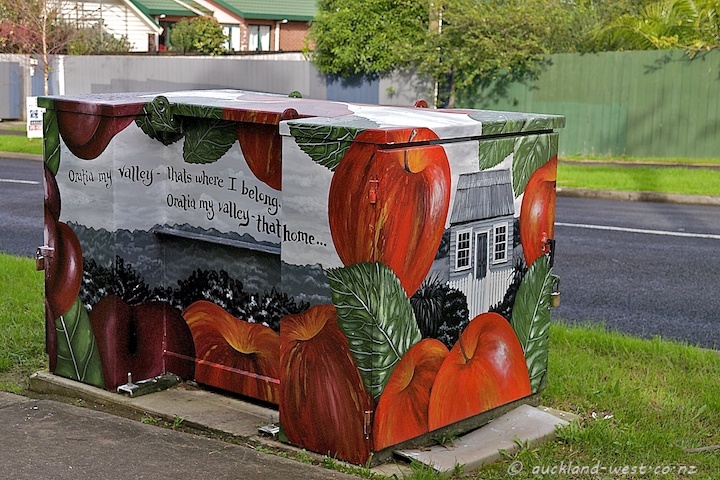 Apples, plums and old buildings – beautifully painted by Mandy Patmore. Vivid colours and terrific design, appealing to the eye. So good to use art on utiltarian objects.